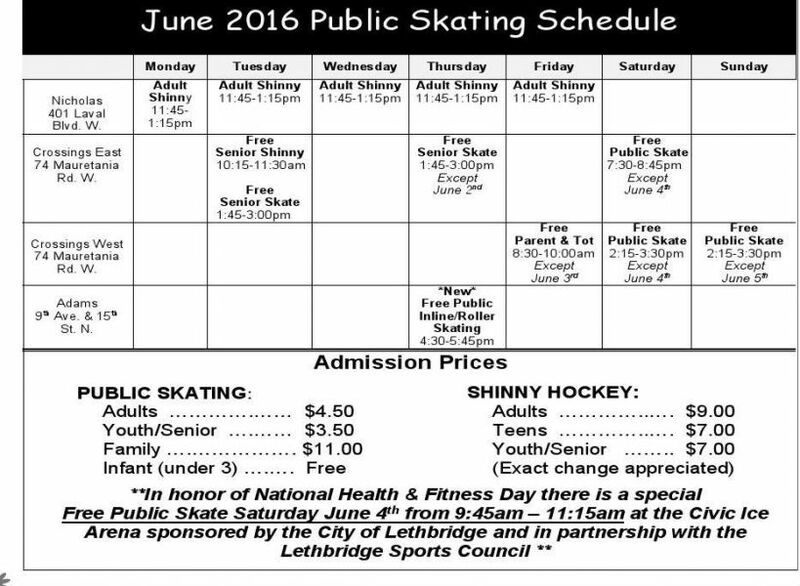 The Lethbridge Sport Council in partnership with the City of Lethbridge is excited to bring the community the opportunity to get out, and get active this Saturday, June 4th for National Health & Fitness Day! Families and kids of all ages are welcome and encouraged to lace up a pair of skates and hit the ice to celebrate and promote health & fitness as Canada is striving to become the fittest nation on earth. The community will have the opportunity to escape the heat and head on over to the Civic Ice Arena to enjoy a free public skate in the morning from 9:45-11:15. We hope to see you there! More information can be found on the Facebook event page.